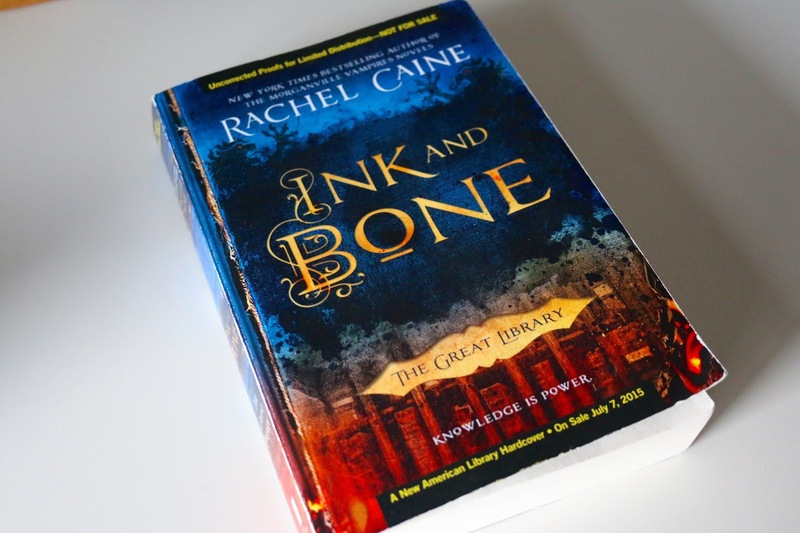 Ink and Bone was a great story told by a terrible storyteller. The whole time I kept waiting for the moment where something amazing would happen, the story to click, and for me to feel like a part of the book. This first half was pretty painful- very slow and I had a difficult time caring about what happened. I wanted to stop reading so bad, but it really takes a lot for me to stop reading a book. After the half-way mark some action started to pick up and things got going, but I still felt like I was reading a book rather than a part of the story. All of the book in the world are controlled by the Great Library and people read books on “blanks,” which are books that are blank until you “check them out” from the Great Library. It is way illegal to have a real, physical copy of a book. Jess Brightwell, our main character, comes from a family of runners. Runners procure physical copies of books for very wealthy people and take great risk in getting them to the buyers. Jess is very smart and his father arranges for him to apply to work for the Great Library. He is accepted into the program and travels to Alexandria in the hopes of landing a job. Though I had a hard time getting into the story, the idea behind it and many of the scenes and events are great. There needs to be more, especially in the beginning, and there needs to be more really good and really bad, not so much ambiguity. The Library is supposed to be a decent institution but the reader knows the whole time that it isn’t quite good but we don’t yet know what’s on, and the characters don’t realize anything until the end. I feel like this could be a metaphor for the government but it falls flat on it’s face.